INDIANAPOLIS, Ind. 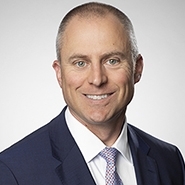 — The national law firm of Quarles & Brady LLP today announced that Indianapolis attorney, Jacob Bradley, has accepted an appointment to serve as a Vice President of the Indianapolis Bar Association Board of Directors. Bradley will serve a one-year term as one of the four Vice Presidents who were selected by the President of the Board of Directors, The Honorable Robyn Moberly, Chief Judge of the United States Bankruptcy Court for the Southern District of Indiana. "I'm honored to served the Indianapolis Bar Association Board of Directors," said Bradley. "I'm looking forward to 2016 and what I can do for the IndyBar." Bradley practices in the firm's Litigation & Dispute Resolution Practice Group. He concentrates his practice in business litigation and white collar criminal defense. His practice is focused on solving his clients’ litigation challenges, including pre-suit negotiations and alternative dispute resolution. He has defended companies and individuals before state trial and appellate courts as well as federal district and bankruptcy courts. He received his law degree from Indiana University Robert H. McKinney School of Law and his bachelor's degree from Wabash College.